The Three Minute Thesis (3MT) is an academic competition that assists current graduate students with fostering effective presentation and communication skills. Participants have just three minutes to explain the breadth and significance of their research project to a non-specialist audience. 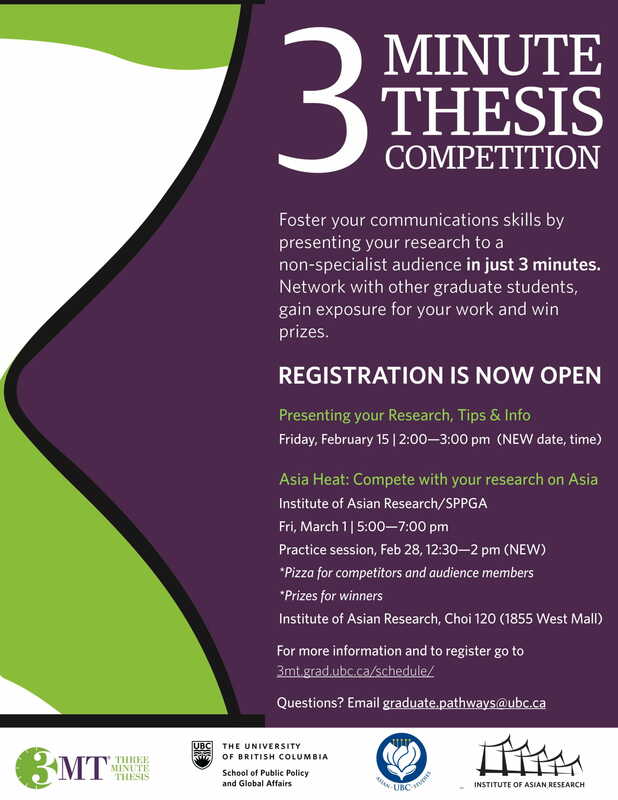 Come find out more, and participate in the IAR Asian Research Heat on March 1.